With consumers spending more time on mobile devices than ever, it’s no longer enough for a business to have a mobile-friendly website. Since 90% of the time spent on smartphones takes place in apps, businesses need their own branded apps if they want to engage with mobile customers. So, what does it take to create a great mobile app that customers actually want to use? 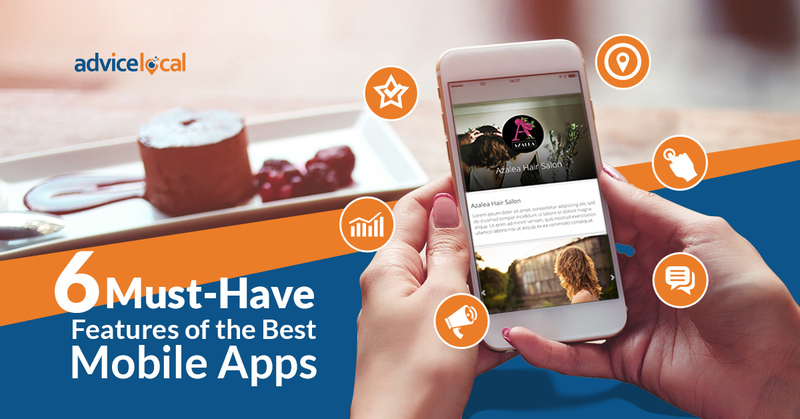 Here are six must-have features of the best mobile apps. Even the most engaging mobile apps rely on push notifications to draw consumers back for more. Once a mobile app is downloaded, the brand has secured a valuable piece of screen real estate. However, without enticing push notifications, it doesn’t matter how many downloads the app has – most people aren’t going to open it. Businesses can get creative in their use of push notifications by offering deals to mobile users or encouraging customers to take a specific action within the app to unlock a discount. 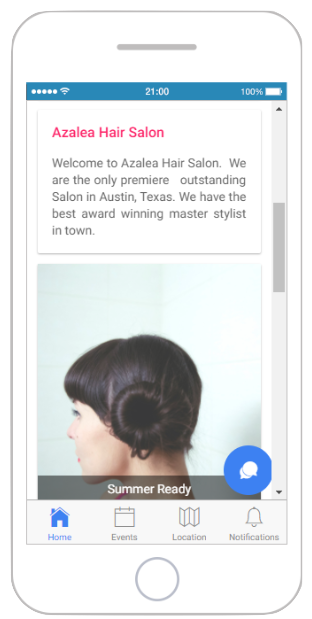 Rich push notifications allow brands to spice up their notifications with video, photos, links, and text. This boosts engagement even further and can increase the amount of time consumers spend in the app. Social media is an important tool for connecting with customers and boosting a business’ online presence. A mobile app with social media integration allows businesses to drive more traffic to their social profiles and encourage engagement across different platforms. A branded mobile app should link directly to social media websites and encourage users to follow the business’ profiles. Not only does this helps grow the business’ online following, but it also results in higher levels of social media activity – especially since customers who download branded apps are more likely to interact with their favorite brands on social media, too. In-app photo galleries and videos are another great way to bring the brand to life. High-quality visual content appeals to mobile users because it’s easy to browse through, provides product information at a glance, and is more eye-catching than text alone. Plus, as long as the app is easy to edit, the business can make real-time updates from any device. That means the business owner can upload pictures right from their smartphone and the app can showcase up-to-date visuals that keep mobile users in the loop. If a business wants its customers to take a certain action, the fewer obstacles, the better. For example, including a click-to-call button in a mobile app removes the extra steps of copying and pasting or dialing the business’ phone number. Likewise, click-for-directions buttons offer a simple, one-step solution that encourages more customers to view the map and get driving directions. Remember that mobile apps are very different than mobile websites. Instead of trying to replicate all the same functions of the website, branded mobile apps should be more focused. People love apps because they’re convenient, but a crowded or confusing interface will frustrate users and could even get the app deleted. On the other hand, a clean, easy-to-use interface makes for a pleasant user experience that will keep customers coming back. Important information should be easy to locate, the screen should be uncluttered, pop-ups and ads should be kept to a minimum, and the brand colors should be incorporated into the design without overshadowing the content. Engagement is always a good thing, but it’s most valuable when it’s carefully tracked. Mobile analytics help brands better understand consumer behaviors and decide what can be done to offer a better in-app experience. After all, it’s impossible to work towards higher levels of user engagement if the brand doesn’t know how customers are currently using the app. For example, which notifications are most effective for drawing users back into the app? Which buttons are they clicking on? How long is a typical session? Branded mobile apps need built-in analytics to ensure the business is getting the most out of every user interaction. Want to create a custom mobile app for your business, but not sure how to get started? Advice Mobile is the answer you’ve been looking for! This simple, powerful technology creates custom branded apps within minutes and puts brands right into the hands of consumers. Schedule a demo today!